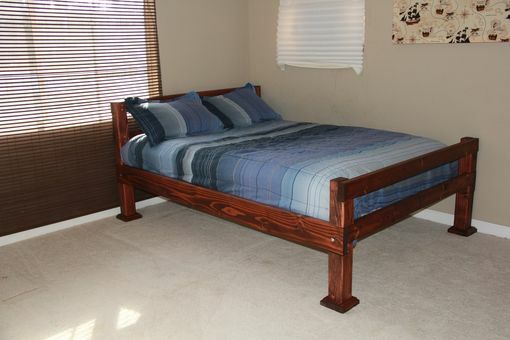 This all wood full size bed has a simple design with rustic charm great for a boy's room or a perfect fit for a cabin retreat. It is high enough off the floor to add storage or a set of drawers if you wish. You can choose any finish you desire.